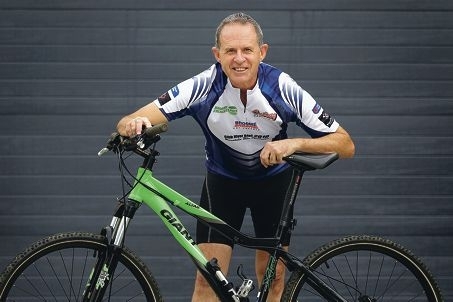 Ken Manley is no stranger to the Gibb River Road Mountain Bike Challenge. He has participated for the past two years and next month the 59-year-old and five of his mates will don their helmets for another epic five-day journey. This year his team, The Exhaustibles, will hit the track from May 19 to 23 and hope to raise $40,000 for the Motor Neurone Disease Association of WA and The Royal Flying Doctor Service. The team has already raised more than $20,000 for the two charities and hopes to double that amount before the event. Ken said his team chose to support the Motor Neurone Disease Association of WA in honour of his sister-in-law Geraldine, who died as a result of the disease in 2009. ‘The challenge is in finishing the event, but it’s really all about supporting a good cause, having fun and exploring the beautiful Kimberley region,’ he said.